Following my review of Interstellar, I thought it time to discuss another of my top ten directors. 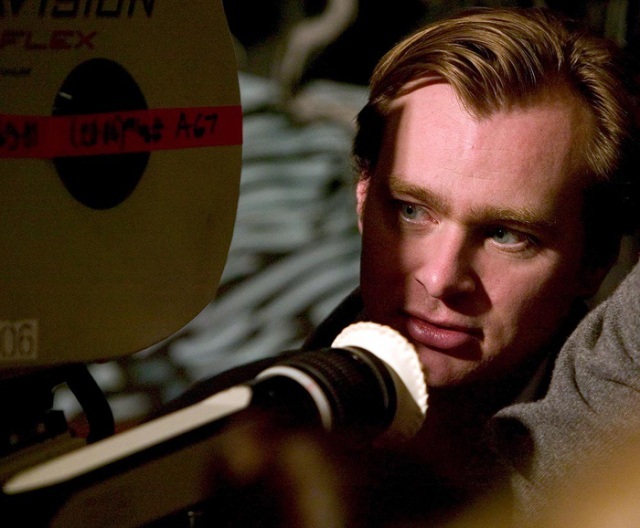 Christopher Nolan has had an impressive ascension through the hallowed halls of Hollywood, attaining a position similar to those of previous directors I have written on, Steven Spielberg and James Cameron. All of these filmmakers are able to make distinctive, personal films within the institution of Hollywood, films that bear their unmistakable stamp. Nolan’s progress has been remarkable – in fifteen years and with only nine films to his credit, he is now a marketable brand. 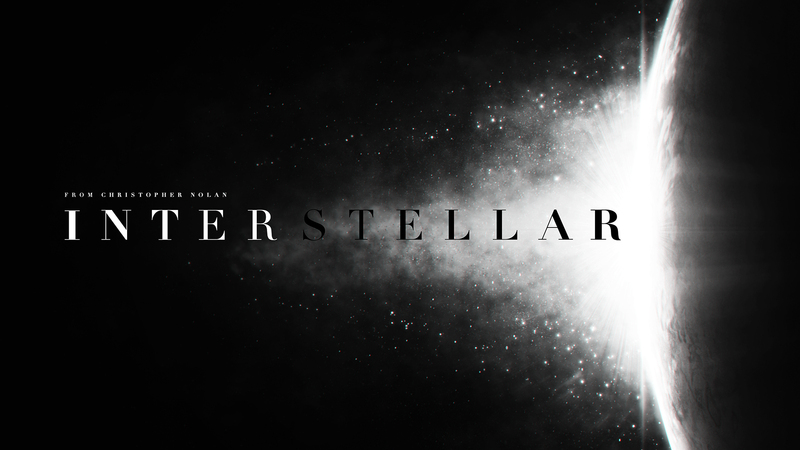 This is evident in the publicity campaign for Interstellar: posters and trailers emphasise that the film is FROM CHRISTOPHER NOLAN, relying upon the director’s name rather than that of the stars as is more common practice. This is surprising considering the bankability of the principal actors of Interstellar – while their names appear on posters, they are not mentioned in trailers and there is no mention that these are Academy Award Winner Matthew McConaughey, Academy Award Winner Anne Hathaway, Academy Award Nominee Jessica Chastain and Academy Award Winner Michael Caine. Publicity for other recent films featuring these actors has emphasised them, but in the case of Interstellar, the director is used as the major selling point. This emphasis upon Nolan has grown over his career – publicity for Insomnia mentions that the film is from THE ACCLAIMED BRITISH DIRECTOR OF MEMENTO. 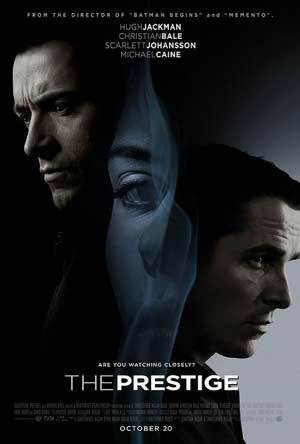 Similarly, publicity for The Prestige describes the film as being FROM THE DIRECTOR OF BATMAN BEGINS AND MEMENTO. Both these films, however, were largely sold on their stars, while Batman Begins and The Dark Knight are simply promoted as Batman films. Following the success of The Dark Knight and Inception, however, The Dark Knight Rises and Interstellar declare the director; these films are FROM CHRISTOPHER NOLAN. What then, does this publicity refer to? The Nolan brand is one of major releases of ever-increasing size, and with particular emphasis upon complexity – in short, brainy blockbusters. If the Spielberg brand is one of sentimentality then Nolan’s is intellectual – here is the filmmaker who makes you feel intelligent (if you can make head or tail of his films). While this is unfair to Spielberg, whose films are often as complex as they are sentimental, Nolan’s films consistently display interests in time and identity, and utilise elaborate editing patterns that confuse and delight in equal measure. This has led some reviewers to describe the director as chilly and unemotional, more interested in calculation than feeling. This seems strange when considered in light of the consistent interest in loss and grief that runs through Nolan’s oeuvre. Consider the grief that drives Bruce Wayne in Batman Begins and perverts Harvey Dent in The Dark Knight, as well as Cobb’s haunting guilt in Inception and the tragic self-perpetuation of Memento, not to mention the parent-child relationship that runs through Interstellar. Nolan’s films are driven by the emotional torment of their protagonists, and the various narrative and stylistic tricks all serve this central conceit, taking the viewer into the emotional state of the characters through a dazzling mastery of the cinematic medium. For all the scale and grandeur of Nolan’s blockbusters since Batman Begins, it is Memento that I pick both as my favourite Nolan film and the best introduction to his oeuvre. 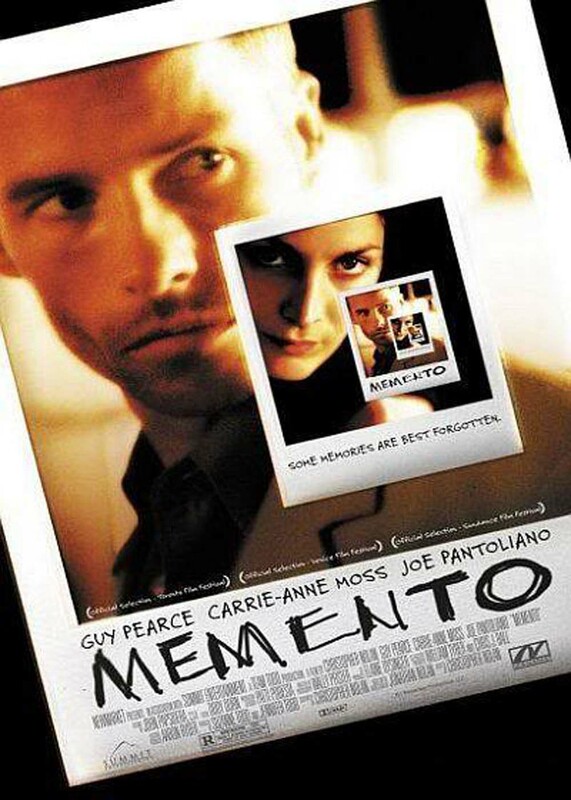 This is not to say that Nolan has lost his way or his interests and concerns have been swamped by bloated budgets and studio demands, but Memento’s deceptive complexity rewards repeat viewings and endless discussion (having taught this film several times on a film-philosophy course, I have repeatedly found this to be the case). Memento’s chronological rearrangements express the subjectivity of memory and knowledge, and the lack of certainty over what is presented at face value, while the presence of tattoos highlights the (unreliable) use of embodiment to fix oneself in the world. The ethics of revenge and personal goals are questioned and answered, and those answers are then questioned afresh. And the emotional core mentioned above provides the film with a deeply tragic dimension that leaves the viewer unsettled, both sympathetic and uncomfortable towards the protagonist Leonard (Guy Pearce). This ambivalence has continued throughout Nolan’s work, and while Memento may not be the most ambitious work in his oeuvre, it remains an enthralling and compelling introduction to the work of this distinctive and singular director. By vincentmgaine in Uncategorized on November 18, 2014 .